Cliff Hart Agencies, a family managed insurance company with offices in Ann Arbor, East Lansing, Farmington Hills, and the Detroit area, is initiating a charity drive to support Debra Douglass, a Michigan woman who has been diagnosed with Amyotrophic Lateral Sclerosis. Amyotrophic Lateral Sclerosis, commonly referred to as Lou Gehrig’s disease or simply ALS, is a rare neurological disorder affecting nerves that control voluntary muscles, leading to stiffness, weakness, and eventually complete muscle failure. The ALS Association is the only nationwide nonprofit organization solely committed to finding a cure for ALS and researching treatments for ALS patients. “This is the third year in a row we’ve launched our charity event to support research into a cure for ALS, and we hope everyone in the community can come out to show their support and help us end this disease,” says Cliff Hart, owner and principal of Cliff Hart Agencies. To publicize the third annual ALS benefit, Hart and his team are connecting with local business owners, community leaders, families, and friends over a social media portal and email update bulletin. The Cliff Hart team is also putting together a feature article discussing the ALS charity event for publication in the upcoming issue of the firm’s online magazine “Our Hometown”: http://www.cliffhartagencies.com/Our-Hometown-Magazine_41. Several other Michigan-based nonprofit organizations and charitable causes have been supported by the Cliff Hart Agencies team over the last few months. As part of an ongoing charity involvement program, Hart and his team will be selecting and working with a new regional charity every other month. 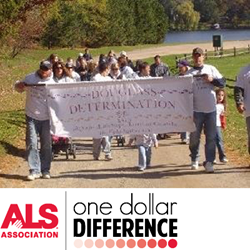 For those who want to take part in the third annual Cliff Hart Agencies ALS charity event, the following page has been made available for personal contributions to the cause: http://www.cliffhartagencies.com/Driving-To-Cure-ALS-in-Michigan_19_community_cause. For this interested in learning more about previous charitable causes supported by Cliff Hart Agencies, a full listing is available here: http://www.cliffhartagencies.com/community-cause.